Coronary artery disease is a chronic, life-threatening condition requiring sustained medical intervention, in conjunction with lifestyle changes. Both medication and surgical procedures may be required to enhance quality of life and prevent fatal complications such as heart attacks or strokes. To help protect members of medical aid schemes, the South African government has identified specific medical conditions, referred to as Prescribed Minimum Benefit (PMB) conditions, for which all medical aid schemes in South Africa are required to provide a prescribed level of cover. Eligible conditions are listed as 27 chronic disease list (CDL) conditions and/or 270 PMB diagnosis and treatment pairs (DTPs). 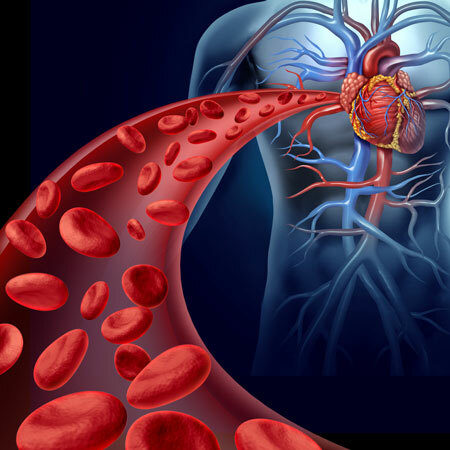 Coronary artery disease is classified as a CDL condition. In the case of CDL conditions, such as coronary artery disease, medical aid schemes provide cover for limited diagnostic tests and for medicines listed on formularies. These are specific to each medical aid scheme option or group of options. A common proviso, particularly in entry and mid-level plans, is that members must use the schemes’ designated network providers. If they don’t, they may be required to make co-payments of up to 40%. Although chronic disease benefits are standard across medical aid schemes, the more members contribute each month, the higher the level of cover. Premium plans typically cover the cost of a more extensive formulary of branded medications, up to a higher monetary amount. Members of these plans are usually free to choose a dispensing service provider. Members of low-cost, entry-level plans are typically covered for medicines on more restricted formularies that include a limited number of generic drugs. To avoid having to make co-payments, they need to use designated network pharmacies. To benefit from chronic medication cover for coronary artery disease, members have to be properly diagnosed by a GP or physician. A definitive diagnosis relies on a thorough physical examination that includes appropriate diagnostic tests and procedures, such as an ECG, electron beam CT scan, angiography and/or exercise stress test. After diagnosis, follow-up tests and procedures are required to monitor the progression of the disease. Medical aid schemes typically limit the number of follow-up consultations and investigations they cover. Accordingly, members with advanced coronary artery disease or further complications associated with the condition may require additional cover for ECGs, X-rays and blood tests not covered by the PMBs. Members on top-tier, comprehensive medical aid plans have higher levels of cover, extending to GP and specialist consultations, as well as tests and procedures performed out of hospital. Benefits are paid from savings and/or out of hospital benefits. If you or a family member has been diagnosed with coronary artery disease, you’ll want the best medical aid cover at the best possible price. Chat to an IFC consultant today to compare options, premiums and the chronic and day-to-day cover from different South African medical aid schemes.